Some people might get confused on the differences between a lawyer and a barrister. Some people use them interchangeably. But is there really a difference between them? And how can we identify them? What are the services of Lawyers and Barristers? Why take legal advice from Lawyers and Barristers? A lawyer is a legal professional who specialises in a specific area of law. These areas of law include criminal law, family law, civil law, corporate law, construction law, etc. The term ‘lawyer’ is also an umbrella term for solicitor, barrister, judge, prosecutor, and even for minister of justice. A barrister, on the other hand, is a court advocate. When an issue becomes complicated, a lawyer can assign a barrister to represent the client. He/she may assist the solicitor/lawyer in drafting court documents and give legal advice on the client. In addition, a barrister is usually identified for their looks. They are known to wear short bar wigs and black poplin gowns. So, what’s the difference between a Lawyer and a Barrister? Perhaps to explain it with more sense, their functions can be likened to your family doctor. When you get sick and it worsens to the point that it needs the help of not just one doctor, your family doctor will have to refer you to a specialist. In a legal situation, the family doctor is the lawyer and the specialist is the barrister. They pretty much have the same responsibilities as lawyers. It’s just that barristers are more experts in court proceedings. All barristers are lawyers but not all lawyers are barristers. Lawyers are the most accessible type of legal professionals for anyone having a legal problem. They are expected to provide legal advice to clients who are not necessarily in a dispute yet but also to those who want to avoid legal disputes. Barristers also give legal advice and this is usually for clients whose case escalated into something bigger. As court experts and advocates, they are expected to make sure that the client is taking the proper steps throughout their legal situation. Lawyers and barristers can both represent clients inside the court. The only difference is, lawyers usually represent clients in the magistrate courts or known as the lower courts. As for barristers, they usually represent clients in the higher courts. They are briefed or instructed by lawyers to properly represent the client in the court. Of course, court proceedings require a lot of paperwork. Lawyers must give a hand to their client in gathering the necessary documents needed to move forward with their legal situation. For cases that had reached the higher court, a barrister’s assistance is needed to properly handle the client’s current situation. Lawyers and barristers may work side by side to make sure that the right steps are taken. Is there anything that a Lawyer can do that a Barrister cannot? Unlike the usual lawyers, barristers do not prepare and sign the contracts and wills of a client. They may offer some legal advice but they’re not the ones who handle it. 1.To avoid making your situation more complicated. The goal here is to not make your situation any worse. If you are already in a dispute that gives you headaches, you will surely not want any more of those. So better make sure that you listen and cooperate well with your lawyers to minimise the chances of getting in trouble. It wouldn’t hurt as well to discuss and clarify the steps you are taking with your lawyers so you’d have an assessment whether it’s worth your money or not. 2. Credibility on the documents. Drafting documents under solicitor instruction gives more credibility as it is closely supervised. Documents for an ongoing court proceeding are important since it is used to get the client through his/her situation. Not only should they be carefully gathered and crafted, but they must also be handled with care. 3. To avoid future legal disputes. Whether or not you’ve experienced getting involved in a legal dispute, taking advice from a legal expert is a wise move to make sure that you’re not doing anything against the law. And even if you’ve already went through a court proceeding successfully, it is still better to keep in mind the things of what to do and not to avoid any conflict in the future. 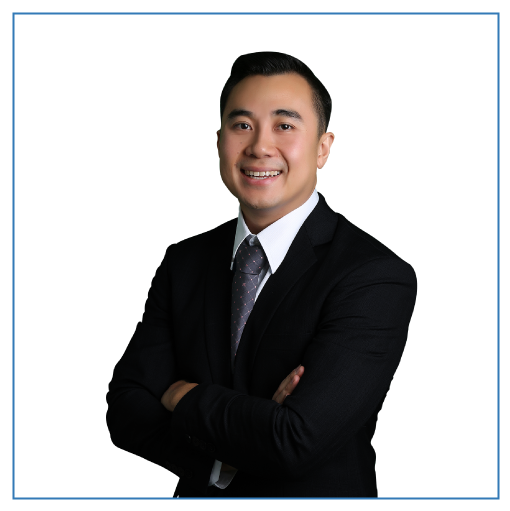 Contracts Specialist principal lawyer, John Dela Cruz, has over a decade of experience as a construction lawyer. He has dealt with all sorts of disputes related to building and construction. With his knowledge and experience, you can be confident that you are in good hands. Contracts Specialist is a Sydney-based law firm specialising in building and construction. We deal with Building Disputes, Construction Contracts, and Security of Payment day in and day out. So if you’re looking for a lawyer around Sydney, call Contracts Specialist now.